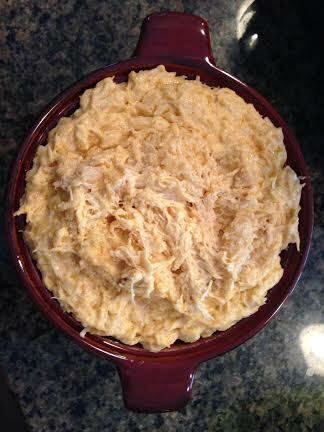 What would a Super Bowl party be without a great dip? This is a family--and fan!--favorite! Combine all ingredients in a 1-quart baking dish and bake at 350 degrees for 20 minutes. For a smaller crowd, we serve our dip in the Tastefully Simple brand crock that you see in the photo; however, if you are doubling (or tripling!) the recipe for a large crowd, putting the dip in a crockpot set on warm works just as well. Serve with your choice of dippers--wings, tortilla chips, veggies, whatever your crowd enjoys! And may the best team win!